"I hope you don't take a single day, a single snap, for granted." 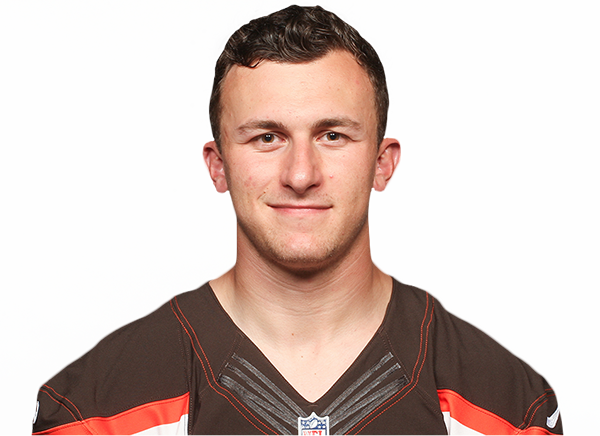 The former Cleveland quarterback writes a letter to the rookie No. 1 pick. The Browns risk failure if they suppress how Johnny Manziel -- and his alter ego, Johnny Football -- plays and acts, Jean-Jacques Taylor writes. The legend of Johnny Football is old hat for the patrons at his favorite bar in College Station, Texas. On Wednesday at Chimy's, Manziel made sure the memories were more than an afterthought, treating more than 100 revelers to a beer and a shot. Johnny Manziel was the highest-rated player on the team's draft board when the Dallas Cowboys went on the clock with the 16th overall pick, Jerry Jones said Friday. But there's only room at Valley Ranch for one celebrity quarterback. Johnny Manziel has no doubt where he stands as he joins the Cleveland Browns as the 22nd pick of the NFL draft.